Dried Cherry, 250gm|ABK® Buy Worlds Best Saffron, Walnuts, Acacia Honey, Morels & more! With their vibrant, deep red color and tart but sweet taste, dried cherries make for a flavorful addition to your diet. Dried cherries' sweet flavor makes them welcome in salads. Pure Unrefined Kashmir Honey from the nectar of purple and white Acacia flowers. Acacia honey is known for its distinctive mild taste and this honey has the least chance of Crystallisation as it remains in its liquid form for a longer period of time. 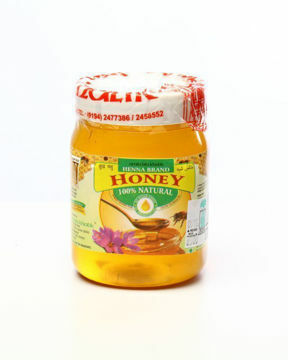 Acacia Honey is good for people of all ages, and a spoonful or two a day is enough to keep you rejuvenated.